Well, of course someone is on drugs, lots of people are, and I'm not accusing the fine folks of Cheltenham Town of smoking what Snoop Dogg once called "that real sticky icky icky" but it did come to mind when I saw the name of the National League sides new stadium. “World of Smile are leading providers of conservatories, garden buildings, sheds, cane and rattan furniture. You can’t say the name World of Smile Without grinning and that’s what our company is all about: making customers and clients happy with a positive outlook and that is why we are reaching out into the community." 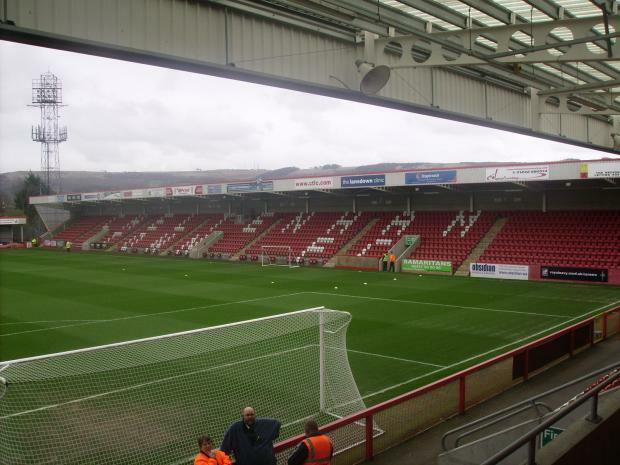 The local garden centre World of Smile have signed a deal allowing them naming rights over Whaddon Road for the next three seasons. This should go over well when visiting sides fans turn up in Cheltenham this season.